Local people of Bari like to boast: “if Paris had the sea it would be a little Bari”. Bari has everything to be called the Paris of the Mediterranean. There is an international airport in Bari. You can get to the city both by plane and by high speed train. Trip from Rome to Bari by train takes about four hours. Bari is a city on the Adriatic coast. Though it cannot boast excellent beaches, there's a public beach on Lungomare Perotti where you can relax on the sea. You can find good beaches outside the city. Not far from Bari there are popular beaches of Polignano a Mare, some of them rocky and some of them with golden sand. Bari has been an important fishing port from ancient times. Today it still takes great pride in its seafood industry. Bari can boast delicious local cuisine based on three main components: wheat, wine and olive oil and also, certainly, fish and seafood. A lot of tasty dishes like handmade pasta, tomatoes, artichokes, olives can be tasted along with fine wine. Bari Vecchia retains much of its ancient Medieval culture. Local women still make pasta at the front porches of their houses. Besides the main masterpieces there are about 30 churches and a lot of chapels, ruins and fine buildings in the Old Town. 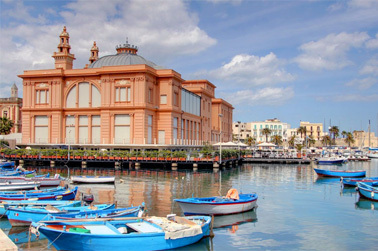 International Trade Fair Fiera del Levante takes place in Bari. 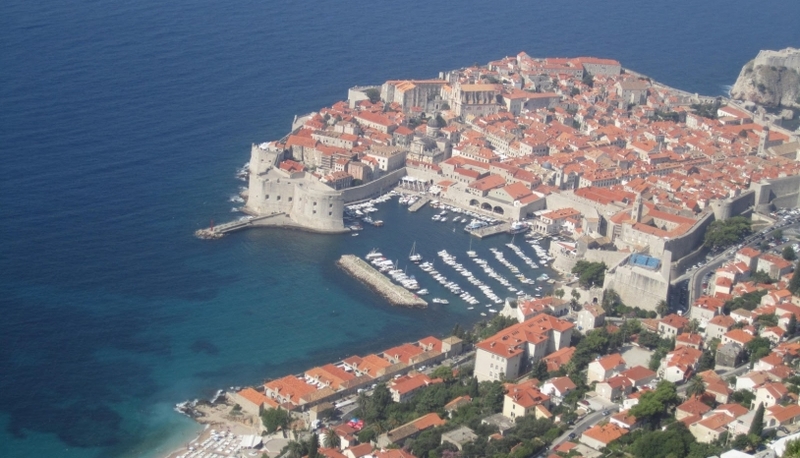 The quarter of Old Town was known as a territory of high crime level. Previous years this district had bad reputation and tourists were warned not to come to the Old Town after dark. But now the situation became much better. Tourism is developing rapidly and in downtown a lot of shops, bars and cafes have been open for tourists. Saint Nicholas also known as Santa Claus is a saint patron of Bari. The remains of this saint were brought to Bari from Myra in Lycia (now Turkey). In 1087 a cathedral was specially founded to bury the holy relics in the crypt. It considered that the remains of the saint exude some holy liquid. In December and again in May there are bright celebrations devoted to San Nicola the patron saint of Bari. During this celebration the Historical Parade and fireworks under the accompaniment of popular music take place in the city. Bari is a cultural center of Southern Italy. This city has its own university. There are a lot of students in Bari, so this city combines ancient history and young soul. Sometimes it is called Bologna of the South. In Bari the Italian fourth biggest theatre Teatro Petruzzelli was built in 1903 in the typical Italian style of the 19th century. It is one of the most important opera houses in Italy after La Scala in Milan and San Carlo Theatre in Naples. Bari has its own football team and an impressive stadium which has a futuristic design resembling a flower. The stadium San Nicola was built in 1990 for the 1990 World Cup. It hosted many football matches. If you are interested in sport it is worth to visit football match in Bari. Outside Bari there are also many places of interest. By short train trips it's possible to get from Bari to some other tourist destinations. In Castel del Monte it's worth to visit famous castle of Frederick the 2nd. Such places as a cave city Matera, a nice seaside town Trani with beautiful cathedral above the sea, historical seaside town Barletta are very attractive. Don't miss the opportunity to visit the Trulli town Alberobello.